"The last day of October had finally arrived. The empty house at the end of the street mysteriously came to life." Oliver, the ghost who lives in that empty house, lives for Halloween! He always has a big party. 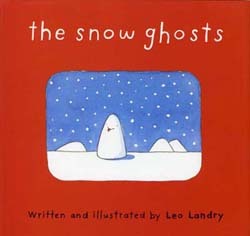 To get ready, he puts dust on the furniture, welcomes the spiders, wakes up the black cats, and delivers his invitations! 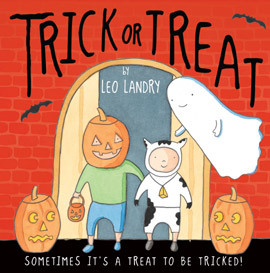 This time, though, one envelope goes astray and two human trick-or-treaters show up. Are treats—or tricks—in order? Simple, cartoonish watercolor and pencil illustrations complement this sweet tale of the spirit of generosity and acceptance. Brothers might not look alike, but they like the same things. In the fall they paint pumpkins. In the winter they ski and slide and slurp hot soup. 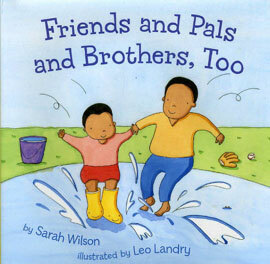 All year long they have fun together, for these two are more than just brothers—they’re the best of friends! It’s so much fun to visit new places and meet new people! And social skills can make any trip out and about even better. 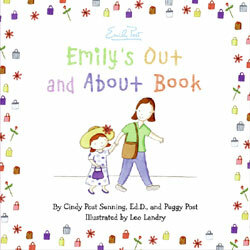 Whether it’s knowing when to use their quiet voice, asking for something politely, or waiting patiently, toddlers will come to understand the importance of good manners as they follow Emily and her mother on a busy day in town. 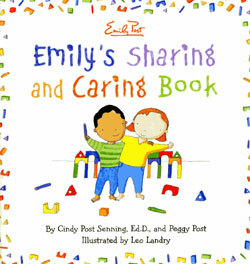 Toddlers will laugh as they learn the importance of sharing toys and food, appreciating others, taking turns, and other fundamentals of good manners in this cheery book that explains two underlying principles of etiquette with a positive, fun attitude and in terms that every kid can understand. It takes only a few magic words to have good manners. Let please, thank you, and excuse me act as your magic wand. Just by waving around these simple phrases, you can open doors, bring smiles to faces, and make friends. 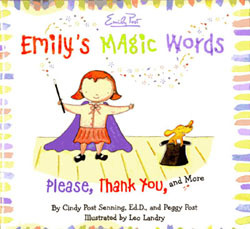 Thanks to the magical touch of Emily Post, the most trusted name in etiquette, learning good manners has never been more easy and fun. 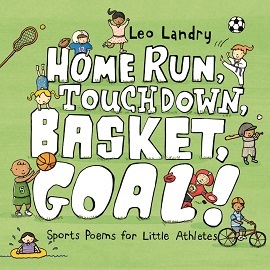 Now available as an e-book for the iphone and ipad from the itunes app store! This world, decides Nicholas, is too noisy for him. Time to take a trip. He packs a snack, puts on his suit, and takes off…to the utterly quiet craters and vast deserts of the distant moon. 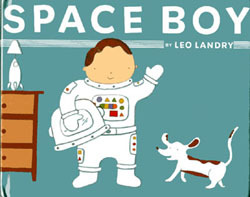 In this utterly charming picture book, the allure of space travel and the longing for peace and quiet entice a young boy to take his space rocket to the moon for picnic.